Objectives: The reported incidence of ureteral injuries during laparoscopic colon surgery varies from 0.2 to 4.5%. Although this is a relatively rare event, it can be devastating for both the surgeon and the patient. There are some techniques described that help prevent this catastrophe, and in cases when this event can’t be prevented, it is important to recognize the lesion during the same surgery to repair it. Methods: The objective of this presentation is to describe our experience with ureteral injuries. Over 1800 laparoscopic colon surgeries were performed in our Institution in the last 10 years. There are four reported ureteral injuries, which were all adverted during surgery and repaired laparoscopically. 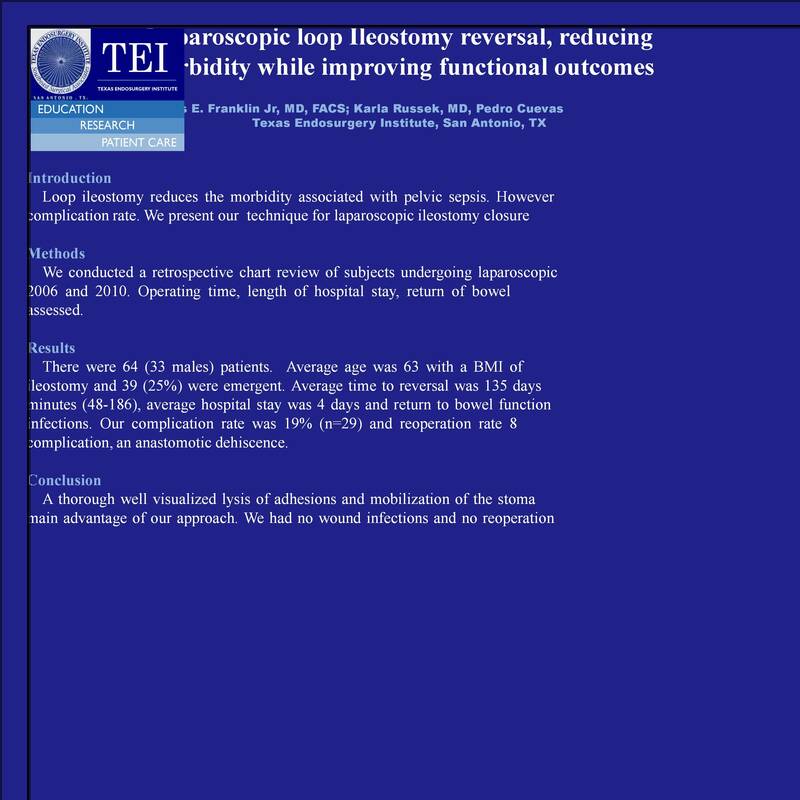 Results: We report our technique for laparoscopic colon resection, which we believe, helps prevent ureteral injuries along with a good anatomy knowledge. We discuss our repair technique and long-term outcome of these 4 patients. Conclusion: Ureteral injuries during laparoscopic colon surgeries is a possible complication, and when detected in a timely fashion can be repaired during the same surgery.